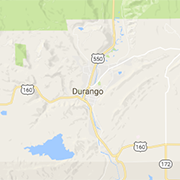 These Durango services give support and resources to growing families, children and parents. Browse for kid-friendly programs, education and activities in the Durango area. The Boys & Girls Club provides the kids and teens of La Plata County with a safe and supportive place to come in the hours between school and home supervision. Recreate your extended family at Café au Play where you can connect with other parents and give your child the opportunity to play and grow.